By the grace of God, God of our forefathers Abraham, Isaac and Jacob who is all merciful and most faithful in His promises towards us, these humble children of God by the name of Jesus, His only begotton SON another year we are completing .We are not of Sun God, but we are offspring’s of the Son God our MESSIAH JESUS, which is the creator of sun, moon, stars and all the universe. Pastor John Madhan Mohan of Messiah Missions India has provided photos and short biographies about four new believers, most of them widows, who have come to know the Lord after a history of India traditions that could not comfort their souls. Your prayer for the Lord to strengthen these ladies as well as your support is much appreciated! Dear brothers in Christ at Messiah Missions International, Greetings in our Master’s Name! This outline expresses the current situation of our co-workers through Messiah Missions. I am Krishnappa. I was born in a Scheduled caste family in Karahalli. Our native group is called Adi kannada. We have 6 million people in Karnataka state. Greetings to you in the matchless name of Jesus ! Oppositions and persecutions always wait for God’s people. Through them, God’s people grow in the knowledge of Jesus. Pastor John Mohan always says ‘a problem is not at all the problem’. The real problem is what way we take to solve the problem. Actually I want to share with you 2 problems in our fields we faced in recent years pertaining to the place we occupy recently. 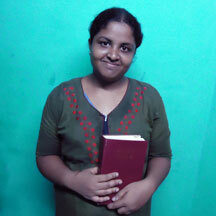 We started the MESSIAH MISSIONS.ORG works in India over three years ago. Through the initiative of Pastor John Mohan, our Indian evangelical pastor, we rented building for INR 5,000 a month for ministry purposes. The building has been used as the Headquarters of the Messiah Missions in India. The owner of that building also asked us to leave the building as many people are coming to church and too much noise (worship and praise) is heard on Sundays. Greetings in our LORD JESUS CHRIST’S precious name! Blessed be the Lord God of our Forefathers who blessed us with all the richest blessings of the Heavenly Places! By the grace of God we are in good health and the works in these region are going on smoothly. Greetings in the matchless name of Jesus Christ, our blessed Lord ! It is our privilege to work with Messiah Missions Ministries. Our prayer continues to be that Messiah Missions becomes a worldwide ministry – whoever being with us or leaving us. Because the All Powerful El Shaddai Messiah is with us to strengthen and guide us. Vasu began to come for the prayer meetings in November 2010. But his wife was against changing religions. Vasu told thed important thing is not changing religion, but knowing true god and to know the true way of salvation. Then his wifwe also turned up. They have two children. I am Shiddaraju. I was born in a farmers family. My father taught me all the rituals in Hinduism. My mother was demon possessed. I took her to so many temples and also to hospitals. All in vain. My wife also having much troubles especially stomach pain. I underwent so many failures and we came to a decision to commit suicide as a family.